Farmers in Gippsland will have another chance to help shape the mandatory code of conduct for the dairy industry. The draft mandatory dairy code of conduct has been released today for public comment, following a series of consultation sessions in all eight dairy regions last year, including one in Maffra in November. 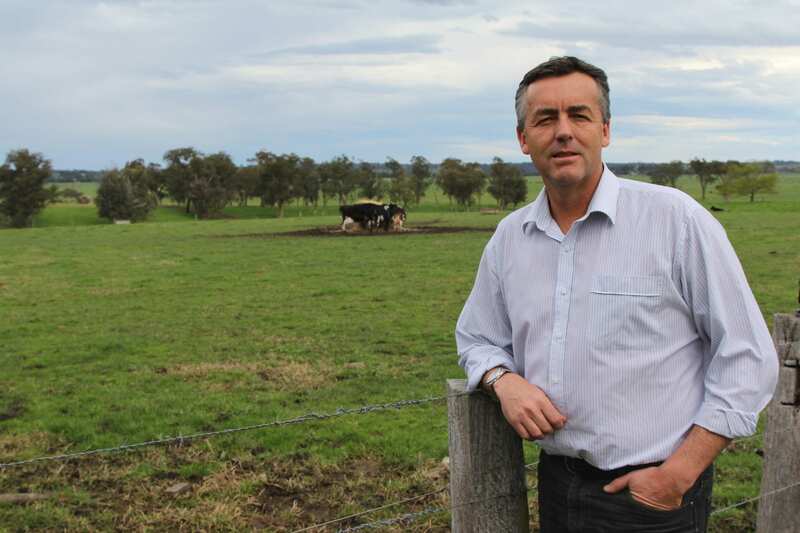 The Federal Member for Gippsland Darren Chester has again encouraged local farmers and other stakeholders to take part in this second round of consultation, which includes a face-to-face session at the Warragul Country Club on January 29 at from 10:30am to 1:30pm. Mr Chester said this was another opportunity to help improve contract negotiations between farmers and processors. “It is important locals take the time to share their views to make sure the code will work for our local region,” Mr Chester said. “We need input from all parties, including farmers, to shape a code that makes contracts fairer and more transparent and enforce a dispute resolution process. “We all know how important the dairy industry is here in Gippsland and this code needs to be the first step to a better, stronger industry. The recent Australian Competition and Consumer Commission (ACCC) inquiry into the dairy industry raised concerns about fairness and transparency in contracts between farmers and processors. A mandatory code, which would cover around 87 dairy processors and 5,800 dairy farmers, was a key recommendation. Minister for Agriculture David Littleproud said the draft code had been released to ensure everyone got to have their say. “A mandatory code will be an industry-defining moment, so I want all dairy farmers, processors and stakeholders to stay involved in shaping it,” Minister Littleproud said. “Milk levies come and go, but the mandatory code would help balance the market power between dairy farmers and processors and improve farmers’ bargaining power. “Last year, my department sought feedback across all dairy regions on what should be included in a code. As it stands, the code will require processors to publicly release their standard form agreement on a set date each year. This second round of consultation includes three in-person meetings in Victoria to be held in Warragul, Warrnambool and Echuca. There will also be two phone-based sessions where people from across the country can dial in on February 6 at 2:00 pm and February 7 at 10am. More information about the code and how to take part in the consultation process can be found on the Have Your Say website at https://haveyoursay.agriculture.gov.au/dairy-code-conduct or call 1300 044 940 or email dairycode@agriculture.gov.au.